We've watched our share of royal weddings the last few years but it's not everyday that a real life royal Princess gets married! 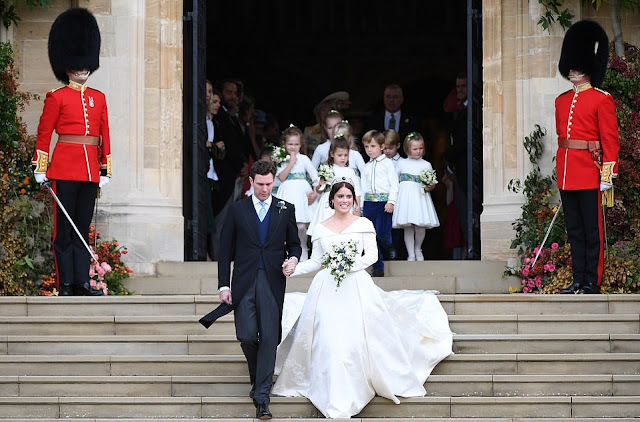 Yesterday, Her Royal Highness Princess Eugenie of York, wearing a bespoke Peter Pilotto wedding dress, married Mr. Jack Brooksbank. Quite fitting for an autumn wedding, the guests sported a variety of monochromatic jewel-toned looks. 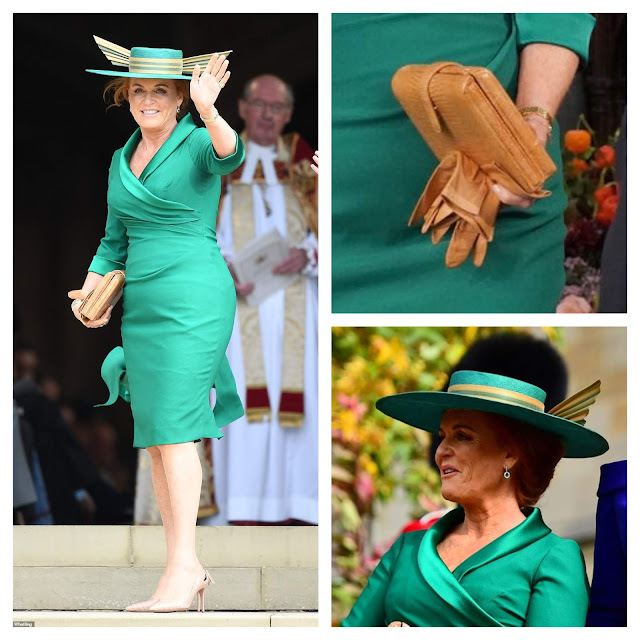 I've always been a big fan of The Countess of Wessex' style and she did not disappoint, bringing her A game in that gorgeous Azzedine Alaia! 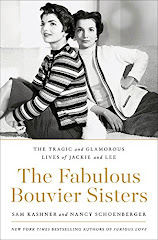 The Middleton sisters also hit a 10/10 x 2 in my books, which doesn't happen as often as you might think since I've always been on the fence about Pippa's style choices. Yesterday though, they both looked radiant in their chosen colours and I must say that pregnancy really agrees with Pippa. But who was your pick for best dressed?